Engine builder. Team owner. Competitor. Robert Yates did it all, and did it well. From 1989, when he picked up from where Harry Rainier left off, through 2009, when his team was absorbed into Front Row Motorsports, Yates had at least one Cup Series car in the field for 694 races. The team scored 57 wins in the series – three in the Daytona 500 alone – and claimed the championship in 1999. Through it all, Yates’ stout engines gained a reputation for flat-out speed as well as dependability, propelling an all-star cast of drivers to new heights in their careers. Out of those same 694 races, a Yates car finished last just ten times, a testament to the skill of Yates’ drivers, the determination of his crew, and the durability of his equipment. These are their stories. Like all aspects of Yates Racing, the last-place story began with the late Davey Allison. In 1987, two years before Yates bought the team, Allison set a rookie record for wins after a pair of victories at Talladega and Dover. He also picked up just one last-place finish – his first since his third series start at Atlanta two years earlier – when his pole-winning car at Rockingham broke a gear. Coming into 1991, he’d scored another two wins every season without a single last-place run. 1991 saw the unveiling of a sleek new paint scheme for Allison’s #28 Havoline Ford – black paint, bold red numbers, and a thin yellow stripe – a design that would remain largely unchanged for more than a decade. The car was fast, too, taking the first two poles of the ’91 season at Daytona and Richmond. He very nearly took the checkers in the Daytona 500, but crashed in the final laps during a tight battle with Dale Earnhardt for 2nd. He finished 15th that day, 12th at Richmond, and after a 16th-place showing at Rockingham, arrived in Atlanta just 12th in points. The Motorcraft Quality Parts 500, where Allison qualified 8th, stands as the last Cup Series race to not be televised in its entirety. Rain postponed the event to Monday after 51 laps, at which point all 40 starters – including last-place starter Rich Bickle in the #47 Kanawha Insurance Oldsmobile – were still running under power. Thus, there are only news articles and photographs of what took place the next day. Among them are pictures of a jubilant Ken Schrader in victory lane. Schrader would win once more that summer at Dover, then fight through a 574-race winless streak up to his retirement from Cup competition in 2013. Another picture showed Allison’s wreck in Turn 4 following contact from Bobby Hillin, Jr. The wreck occurred on Lap 57, just moments after the race restarted on Monday morning. Curiously, it was Hillin who would drive in relief of an injured Allison the following year at Talladega, keeping him up in the championship hunt. It also marked the final race where Jake “Suitcase” Elder stood as crew chief. The next week at Darlington, Larry McReynolds would come over from Kenny Bernstein’s team, and would sit atop the pit box for the rest of Allison’s career. The Atlanta finish occurred in Allison’s 121st start and the 62nd for Yates. It was to be the only last-place run driver and team would have together. On July 13, 1993, Davey Allison succumbed to injuries suffered in a helicopter crash at his home track in Talladega. The Yates team didn’t race at Pocono the following week, one of only two Cup races held from 1989 through 2009 without at least one Yates car in the field. When the series returned to Talladega a week later for the DieHard 500, driving duties for the #28 Havoline Ford fell to Robby Gordon. At the time, Gordon was a 24-year-old open wheel driver who had just competed in his first Indianapolis 500. Driving alongside his boss, A.J. Foyt, Gordon finished 27th that May, out with gearbox problems. Truth be told, Gordon had raced in NASCAR before as one of many unproven talents taken under the wing of Junie Donlavey. But those two starts were more than two years ago, an 18th-place run in the Daytona 500 and a 26th at Richmond. And now, the pressure was even higher. During pre-race ceremonies, Davey’s widow Liz stood with the Rev. Hal Marchman and thanked the fans for their support. Donnie Allison took an emotional lap around the track in the team’s backup car. Gordon’s car, which carried the words “Davey, Our Teammate Forever” on the c-post, lined up 14th on the grid, six spots in front of Neil Bonnett, who was returning to the series for the first time since he was critically injured at Darlington in 1990. Dave Marcis started last in his #71 STG / Motel 6 Chevrolet. Near the end of Lap 55, Gordon was running in a pack of cars behind Stanley Smith and Sterling Marlin. As the group entered the tri-oval, Gordon looked low on Marlin, and Mark Martin lined up to help the #28 by. As Gordon’s left-side tires hit the apron, his Ford lost control, pulled a complete 360, and slammed the outside wall with the right side of the car. While no other drivers were involved, Gordon was done for the day, eliminated in the race’s first caution. The first of two horrifying accidents – the one which critically injured Smith and sent Jimmy Horton’s car over the wall – came shortly after the ensuing restart. Talladega was Gordon’s only start for Yates Racing. Though a good road racer in his own right, Gordon was replaced by Lake Speed for the following round at Watkins Glen. Speed, whose background before NASCAR was go-karts, pulled out a 4th-place starting spot at The Glen, started outside-pole at Michigan, and ran 16th at Bristol. But by the time the series arrived in Darlington the following week, Ernie Irvan took the helm of #28. Irvan, who prevailed at Daytona in 1991 after Davey Allison and Dale Earnhardt wrecked, had been released from his contract at Morgan-McClure Motorsports. He finished 5th in his team debut at the Southern 500, keeping him 8th in points heading into Richmond. The Miller Genuine Draft 400 on the three-quarter-mile track was another emotional one for the Yates team, as it was there in the spring that Davey Allison had earned his 19th and final Cup Series win. Irvan started outside-pole in a 36-car field, joined by rookie driver and first-time polesitter Bobby Labonte, then the driver of Bill Davis Racing’s #22 Maxwell House Ford. This, too, had significance to the late Davey Allison, as Labonte became the first rookie polesitter since Allison claimed five in his ’87 campaign. Starting last was Greg Sacks in the #68 Country Time Ford (fielded by Cole Whitt’s current Cup team, TriStar Motorsports). Irvan passed Labonte on the first lap, but once the #22 caught and passed him eight laps later, would not lead again. On Lap 58, Irvan’s car slowed in Turns 1 and 2 and pulled to the apron, smoke trailing from the back of the car. The engine problem proved terminal, marking the third straight last-place run for a Yates car within the first 60 laps of a race, and the third straight to draw the first caution of an event. Like Allison and Gordon before him, this was to be Irvan’s only last-place finish for Yates Racing. He would go on to win two of the remaining seven races of the season, then fight Dale Earnhardt for much of the 1994 season. But, once again, Yates’ first championship bid was cut short by tragedy as Irvan nearly lost his life in a crash at Michigan that August. The team’s withdrawal that weekend marked the final time a Yates car would miss a race for the rest of the team’s existence. It would be nearly five years before another Yates car would finish last in NASCAR. During that time, the team expanded to two cars, debuting a #88 Ford in late 1995 when Irvan made his return to racing with a 6th-place finish at North Wilkesboro. At the end of the 1997 season, Irvan, back in the #28, was replaced by dirt tracker turned Truck Series racer Kenny Irwin, Jr.
Irwin quickly became the favorite to win Rookie of the Year in 1998. Late in the ’97 season, Yates combined efforts with single-car team Blair Motorsports to give the Indianapolis native his first taste of Cup racing. Irwin impressed in his debut at Richmond, starting outside-pole in the #27 Tonka / Winners Circle Ford and leading 12 laps before he finished 8th. Though he failed to qualify at Rockingham, he would start no worse than 11th in his other three starts. Yates Racing looked to be a shoe-in for their second Rookie of the Year win in 1998. Irwin’s competition that year included three drivers who were about as new as the teams they drove for. Dale Earnhardt, Inc. went full-time in Cup for the first time with modified driver Steve Park behind the wheel. Bill Elliott, then an owner-driver, co-funded Jerry Nadeau’s car along with NFL quarterback Dan Marino. And Joe Falk – still a team owner in Cup with Jeffrey Earnhardt – looked to expand his team’s brief debut season in ’97 with Busch Series driver Kevin Lepage. While Irwin held the rookie lead early in 1998 season, thanks to a sterling run at Atlanta, where he led 113 laps and finished 5th, he arrived at Bristol for the Food City 500 with no other finishes better than 19th. That weekend in Tennessee, Irwin qualified just 27th in the field of 43. Starting last was Darrell Waltrip, who was relieving Steve Park, one of Irwin’s rookie contenders, in DEI’s #1 Pennzoil Chevrolet. Waltrip, whose team DarWal Enterprises closed its doors after the previous race at Darlington, would drive in place of Park until his return at Indianapolis. In the race itself, Irwin tangled with Steve Grissom on the backstretch, then spun and slammed the Turn 3 wall with the left-front, then left-rear. The crew attempted repairs as they dropped through the rankings, eventually slipping behind Jerry Nadeau, who lost nearly 100 laps after he wrecked in both of the first two cautions. Nadeau managed to come home under power in 37th, 101 laps down. Irwin, however, was done for the day. Irwin’s difficult rookie season continued into the fall. Still 27th in points heading into the Winston 500 at Talladega, Irwin qualified 7th. It was the unprecedented first of two consecutive restrictor-plate races on the calendar, the result of a postponement of the Pepsi 400 at Daytona following wildfires in Florida. Irwin ran near the front early, but was forced to make an unscheduled stop under green at Lap 30. The car had lost oil pressure and was down on rpms. The problem turned out to be a broken valve spring, and Yates decided to call it a day rather than risk blowing the engine. Darrell Waltrip, who this time started last in Tim Beverley’s #35 Tabasco Pontiac, finished 23rd. In total, Kenny Irwin, Jr. scored three last-place finishes with Yates, the most of any of his drivers. The last of these occurred in Irwin’s second season with the team. After a disappointing 28th-place finish in the 1998 standings, Irwin had shown some improvement in ‘99, starting with a 3rd-place finish in the Daytona 500, but was still 18th in points by late summer. In July, he arrived at Pocono for the Pennsylvania 500 and timed in 19th. Last on the grid once again was Darrell Waltrip, who was now driving for Travis Carter in the #66 Big Kmart / Route 66 Ford. On Lap 15, as Irwin raced Jimmy Spencer for position heading into Turn 3, Irwin came down and made contact with Spencer’s right-front, sending the #28 into a high-speed spin. Out of control, Irwin slammed the outside wall with the left-front so hard that it lifted all four wheels off the track. Irwin was helped from his car, which was now aflame behind the left-front, and walked back to the ambulance. While Dale Jarrett went on to win Robert Yates’ only championship in the #88, Irwin finished the season 19th in points, and was later replaced by Ricky Rudd for the 2000 season. That year, Irwin drove for SABCO Motorsports (now Chip Ganassi Racing) in the #42 BellSouth Chevrolet. Tragically, Irwin lost his life that July following a practice crash at Loudon. It would be more than four years until Yates Racing finished last again, and it would again come during a season of change. Following the end of the 2002 season, the Havoline brand left the Yates team to sponsor Jamie McMurray’s rookie campaign with Ganassi, ending a fifteen-year partnership with the #28 team. In the sponsor’s place came backing from M&M’s / Mars, a new number with car #38, and Elliott Sadler. Sadler was making a fresh start of his own in 2003, having driven for the Wood Brothers since his runner-up finish to Tony Stewart in the 1999 rookie battle. He began the year with four Top Tens in his first five starts and took the pole at Darlington. In the final year of the pre-Playoff standings, Sadler sat 23rd in points heading to Charlotte. He’d lost three positions two weeks earlier at Talladega, where late-race contact sent his pole-winning car tumbling down the backstretch. At Charlotte, site of the UAW-GM Quality 500, Sadler qualified 7th of 43 drivers. Starting last was Derrike Cope, who much like today, was driving for his own Cup Series team. Under the team name Quest Motor Racing, Cope drove a #37 Chevrolet sponsored by Friendly’s Ice Cream and GBROnline.com. While Cope finished 37th, Sadler ended up last despite completing more than half the distance. He first suffered right-front damage to his #38 M&M’s Halloween Ford after he tangled with Mike Skinner as the two neared the entrance to pit road. Skinner, who drove in place of Jerry Nadeau after his career-ending injury at Richmond, slammed the outside wall, while Sadler spun clear on the apron. Sadler was not so fortunate on Lap 206, when he collided with Todd Bodine’s #54 National Guard Ford and slammed the frontstretch wall head-on. All of the previous last-place finishes mentioned came with Yates’ first team, the #28. Yates’ second team, the #88 founded in late 1995, would not finish last a single time for more than a decade. Dale Jarrett piloted the #88 to 28 of his 32 career victories, including his very first start with the team in the 1996 Daytona 500. 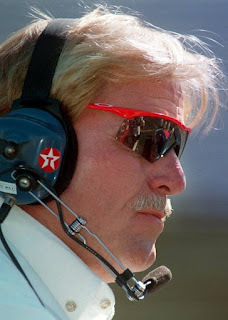 The blue Quality Care / Ford Credit machine also claimed Robert Yates’ only season championship in 1999, a year when the driver scored four wins and ran 5th or better in all but 10 of the season’s 34 races. The success continued when UPS became the team’s primary sponsor in 2001, yielding eight wins and the popular “Race The Truck” ad campaign. By 2006, however, Jarrett was 49, and had fallen from championship contention since a 26th-place showing in 2003. In this first season that Ford campaigned the Fusion in place of the Taurus, Jarrett arrived for the Coca-Cola 600 12th in the standings with a season-best 9th at Atlanta. But the speed wasn’t there in qualifying, and he managed just 37th on the grid. He still started ahead of last-place starter Michael Waltrip, who was facing his own struggles in his first year away from Dale Earnhardt, Inc. The next year, Jarrett would leave Yates to join Waltrip’s new team, the flagship for Toyota’s foray into NASCAR. Heading into Turn 3 on the first lap of the race, Robby Gordon made contact with Jarrett, sending the #88 UPS Ford sliding backwards into the wall. The result was Jarrett’s first last-place finish since the Budweiser 500 at Dover on June 2, 1991, more than two months before his first Cup win with the Wood Brothers, and the only time he failed to complete a lap of a Cup Series race. It was to be the only last-place finish for Yates’ #88, as the number would go to Hendrick Motorsports and Dale Earnhardt, Jr. two seasons later. Elliott Sadler and the #38 would also find trouble less than three months later. After a breakthrough 2004 season where he earned victories at Texas and Fontana and made the inaugural Chase for the Championship, Sadler was suddenly missing from victory lane, and began to slide down the standings. He was just 20th in the standings heading into the Allstate 400 at the Brickyard, and managed only 27th in qualifying. It’s interesting to note that Yates’ final Cup Series last-place finish came with neither the #28 or the #88, but a part-time third team. Looking to the future, Yates hired development driver Stephen Leicht late in the 2005 season, and acquired sponsorship from CitiFinancial to back his #90 Ford in what is today the NASCAR XFINITY Series. That same year, Leicht and the #90 made their Cup debuts at Pocono, finishing 33rd, but failed to qualify the weekend Sadler crashed at Indianapolis. The next week, for the AMD at the Glen at Watkins Glen, Yates elected to hire a “road ringer,” and brought on sports car driver Marc Goossens. Goossens made history at The Glen when he bested seven other road course specialists to qualify 27th, becoming the first driver from Belgium to compete in NASCAR’s elite division. Starting last would be still another “ringer,” Brian Simo, driving an unsponsored #34 Chevrolet for Front Row Motorsports. Joining Simo at the rear due to an engine change, Goossens would have to pick his way through the field. The first bump in the road came on Lap 34, when he bumped Boris Said into a spin entering the Inner Loop, then spun out himself. The next occurred on Lap 59, when he got into the guardrails in the Esses and stopped in the grass. Goossens took last when Greg Biffle, wrecked by Kyle Petty earlier in the race, returned to the track and climbed to 38th. Goossens would go on to make one more Cup start the following year at Sonoma, the only series start for car Riley-D’Hont Motorsports. That same season, Stephen Leicht would give the #90 XFINITY Series team its first and only win at Kentucky. One year earlier, the same race was won by an unheralded David Gilliland, who would soon after replace Elliott Sadler in the #38. Gilliland, Travis Kvapil, and Paul Menard would drive three seasons under the guidance of Robert Yates’ son Doug. While Robert Yates and his team are no longer with us, their legacy lives on to this day, both in the Hall of Fame and in the roar of a Roush-Yates engine.